The parking situation at Location 6 in the Dales book (Firbank Fell) has deteriorated, so here’s a replacement location. 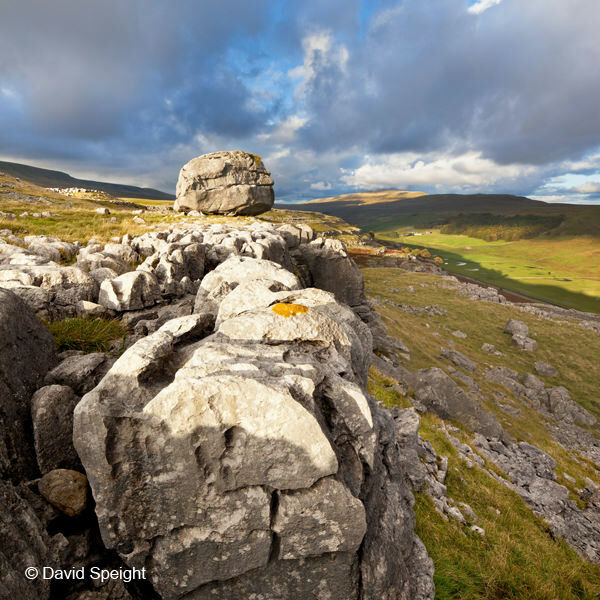 To the west of Twisleton Scar is Keld Head Scar – another fine example of a limestone landscape. The scar is naturally terraced with patches of interesting pavement along the edges and there are good views looking southeast across to Ingleborough, and northwest across the valley of Kingsdale to Whernside. You could spend hours here exploring compositions, although there are two huge erratics that make striking subjects, one called the Cheese Press stone and another that’s unnamed (shown on the right). It’s a wonderful location at any time of year and especially at sunrise. The parking spot is the same layby as for Twisleton Scar End in Location 2. 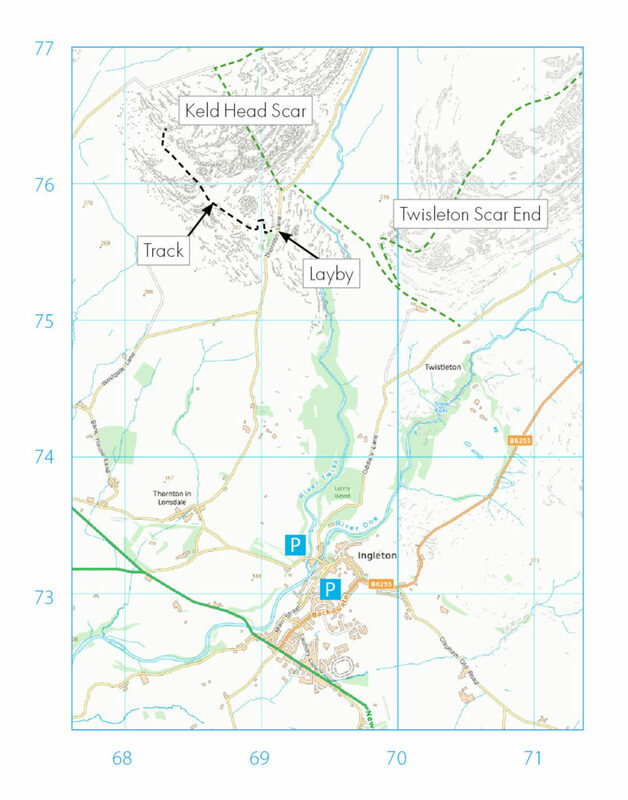 Follow the signs from the A65 into Ingleton and towards the Waterfalls Walk. Continue along the road past the Waterfalls Car Park and take the next right, signposted ‘Thornton-in-Lonsdale, Dent’. When you get to Thornton-in-Lonsdale turn right opposite the Marton Arms pub, signposted ‘Dent’. Follow this road up for five minutes and park in the layby on the left-hand side at the brow of the hill. About 250m further along the road there’s a footpath on the left to the scar, but it’s steep and difficult to follow. It’s easier to go through the gate next to the layby and follow the track up (it’s Open Access land, so this fine to do). After the next gate, turn 45° right and follow the faint path up to the Cheese Press stone. To get to the other erratic, follow the scar along until you get to the wall that runs up the scar. Go through the small gap in the wall near the bottom and it’s just a few minutes further.